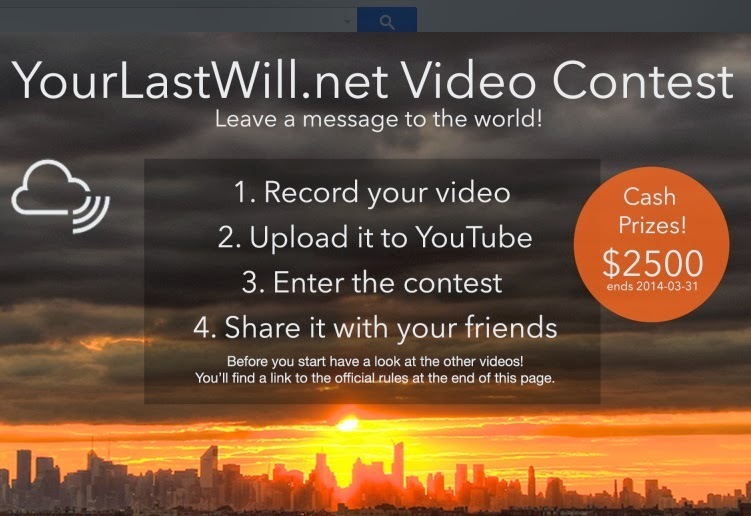 Writing a will to family members can be a long and tedious process, but YourLastWill.net has discovered an easy, fun way to send these messages to loved ones using videos. Now it's time to vote. The voting system powered by Facebook, Woobox and Twitter allows users to vote for their favorite last will video and share it via social media. Sharing it to Facebook and Twitter increases the chances for more votes and spices up the competition by giving friends a chance to also create videos. Most videos are targeted towards loved ones and what users would share in their actual last wills. Others are historically funny, aimed towards the enemies of the candidates. One of the top contender's videos touches on all aspects of her life from friends, family, enemies, food, school life and even the future. Check out this innovative way to share you last words!